A survey of the region yields a patchwork result, with democratic governance faring well in some countries, at a standstill in others, and in the most worrisome cases actively eroding. 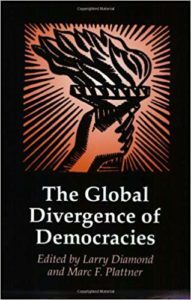 Why do democracies survive or fail? 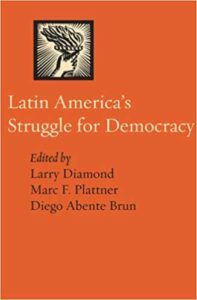 An empirical study of Latin America finds that the fate of democracies depends largely on the regional political context, as well as the level of actors’ commitment to democracy and policy moderation. A review of “Patterns of Democracy: Government Forms and Performance in Thirty-Six Countries, ” by Arend Lijphart; and “Elections as Instruments of Democracy: Majoritarian and Proportional Views,” by G. Bingham Powell, Jr.
Latin America’s recent experience shows that effective democratic governance is difficult to achieve and depends on many factors, some of them context-specific. Nonetheless, it is possible to draw some general lessons.